Fall is a great time to prepare for the upcoming heating season, and many Maine homeowners are now relying on heat pumps for most of their heating. More than 20,000 high-efficiency ductless heat pumps have been installed in Maine homes and businesses in the past 3 years. So whether you are considering a ductless heat pump or already have one, here are a few tips to get the most out of your heat pump this winter. Manufacturers recommend you have your heat pump professionally serviced each year to ensure its safe and efficient operation. If you haven’t yet had your annual tuneup, call your local service technician today. Most heat pump installers also service them. The Efficiency Maine website offers a searchable database of installers and technicians by region. Heat pumps need good air flow through the outdoor unit to operate at peak efficiency. Make sure the outside unit fan and coil are free of leaves, grass and twigs. Check for leaves or other debris that may be blocking the fan openings. If your outdoor unit sits beneath a roof drip edge, falling water could freeze on the unit’s fan, causing it to go into defrost mode. Avoid ice buildup by directing falling water away from the unit with a rain cover or diverter on the roof of the house. Your heat pump circulates air as it heats or cools; that air passes through a fine mesh filter in the heat pump. Heat pumps work best when this dust filter is clean. Lift the plastic hatch and take a quick peek at your filters at least monthly during the heating season. Vacuum or rinse and dry filters whenever they become visibly dirty or when the indicator light comes on. Your user manual or installer is a great place to start if you have any questions about how to do this on your particular model. If your unit has an allergen cartridge, wash or replace it according to manufacturer recommendations. Note: some heat pumps do not have these cartridges. Although heat pump filters do reduce airborne particulates, they are not intended to act as air purifiers. Those who suffer from sensitivity to seasonal allergens may still need a high-volume, fine particle air filtration system. Note: Efficiency Maine offers a $50 rebate on high-efficiency room air purifiers. Learn more on their website. To get the most out of your heat pump, make sure it’s working its hardest by setting its thermostat to a temperature that provides the greatest level of comfort. This may be a higher number than you’re accustomed to. 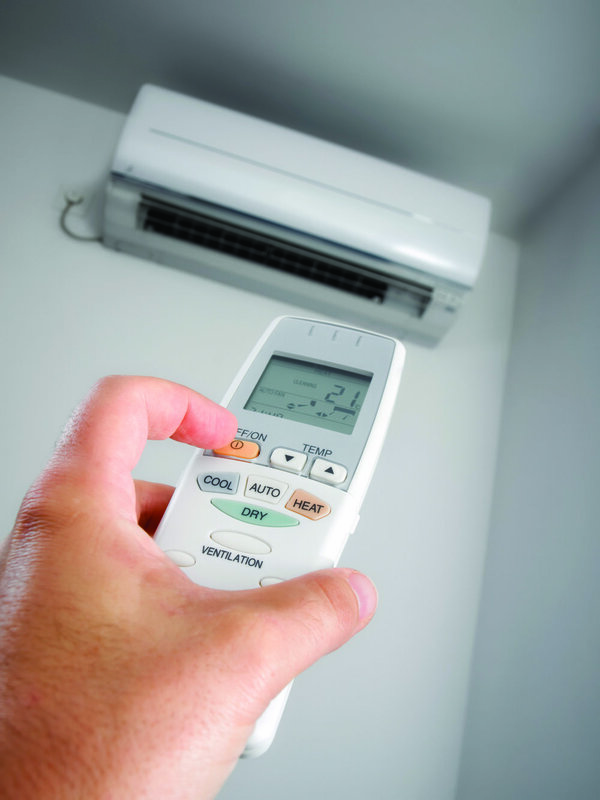 Rather than using auto mode, set your heat pump to “heat” in winter and “cool” in summer. This will prevent unintentional heating on warm days or cooling on cold days during unseasonably warm or cool days. Keep the setting at your comfort level when you are away during the day and asleep at night. Heat pumps are designed to maintain a steady temperature, night and day. Turning the temperature down at night will not create savings since the heat pump will have to work harder to get back up to temperature in the morning. If you have a secondary heating system, set the thermostat for that system (now serving as back-up) to a temperature ten degrees lower than your heat pump to ensure that the heat pump heats to the greatest extent possible before your older, less efficient system kicks in. Start off with the fan setting on “auto fan.” If heated air doesn’t reach far enough throughout the house, try the manual settings to find the lowest level that meets your needs. Adjust the airflow so that heated air is directed down toward the floor and away from occupants. In summer, direct cool air upwards and toward occupants. For more information about heat pumps, including installers and available rebates, visit www.efficiencymaine.com.